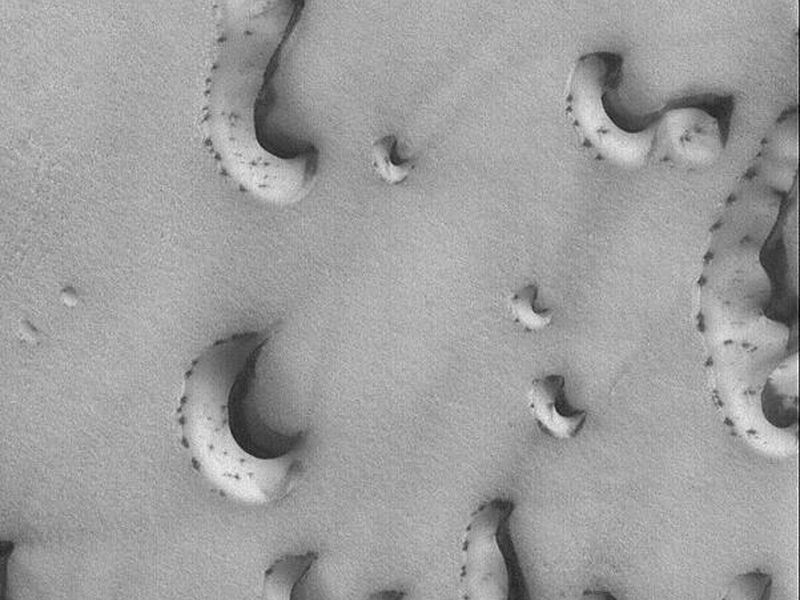 Frost-covered dunes develop spots and streaks as they begin to defrost in springtime. 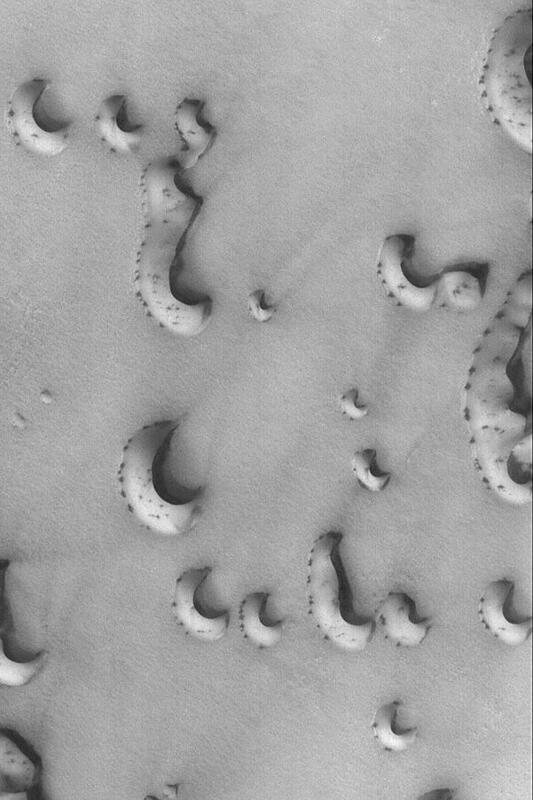 This April 2004 Mars Global Surveyor (MGS) Mars Orbiter Camera (MOC) image shows a suite of north polar dunes in the early stages of the defrosting process. 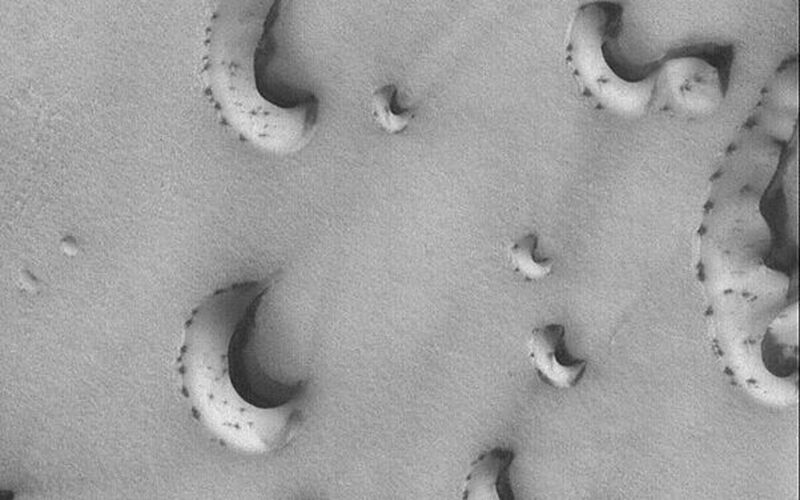 At the time the image was acquired, Mars was only 1 month into the northern spring season. The picture is located near 75.9°N, 266.0°W, and is illuminated by sunlight from the lower left. The image covers an area about 3 km (1.9 mi) wide.